Learn how to enhance your Amazon store strategy using video, and how to distribute your video for optimal success. If you’re looking to make a purchase online, Amazon is likely your first stop. It accounts for 43 percent of all online sales and recently surpassed Verizon’s Oath and Microsoft to become the third largest digital ad platform in the U.S. Its power as the top search engine for shoppers makes it one of the biggest opportunities for ecommerce companies like yours. Add video, and Amazon becomes a marketer’s paradise. With consumers ready to buy, keyword-targeted results that help emphasize your pages, and video that increases your visibility and more effectively grabs users’ attention, you’ve got everything you need to succeed - that is, if you’ve fully optimized your Amazon store. 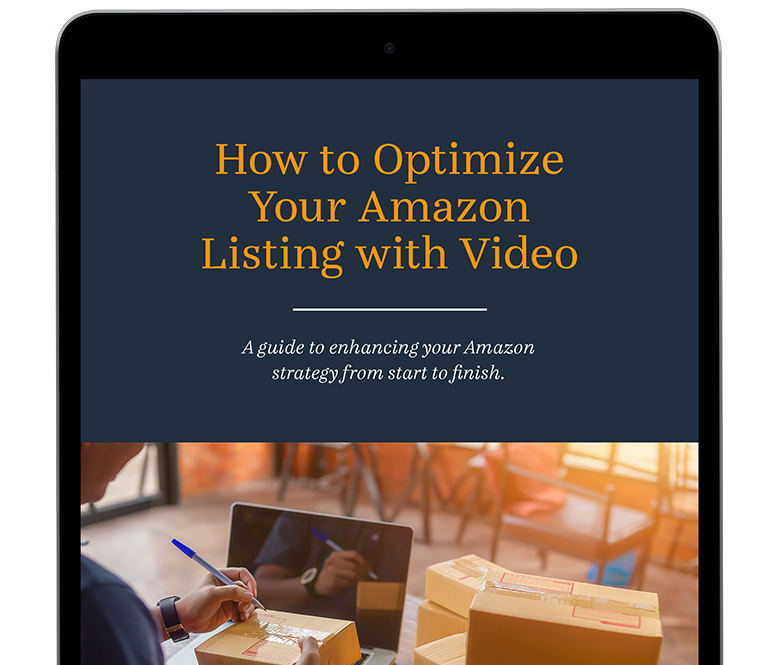 In this ebook, you’ll learn how to use video to optimize your Amazon listing, your Amazon seller page, and your distribution methods so you can make more sales. With step-by-step instructions and a breakdown of benefits, you’ll see why video is such an asset and how you can start incorporating it into your marketing strategy in no time. © 2018 Lemonlight. High Quality, Affordable Video Production.